Planning a special event in Pacific Heights? 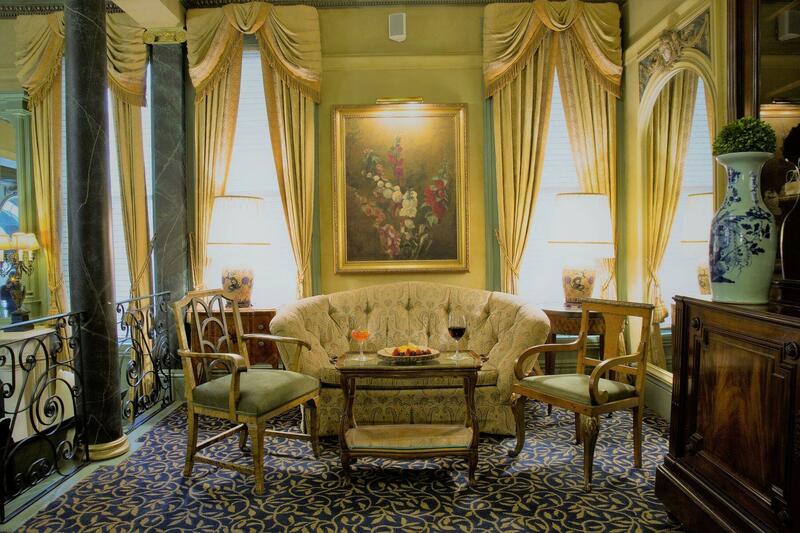 Let one of the most historic and romantic hotels in San Francisco offer a rich backdrop steeped in local character. Sophisticated, refined and timeless, the turn-of-the-century Hotel Majestic adds a dash of Edwardian charm to any gathering. With 1,600 square feet of event space encompassing our Majestic Ballroom and the Butterfly Lounge, we accommodate groups from 15 to 100 people. The Majestic Ballroom is ideal for an array of special events, from beautiful baby showers and birthday parties to receptions, private dining events and even holiday parties. Wedding receptions will be picture-perfect in the Butterfly Lounge, adorned with our authentic majestic butterfly collection. Additionally, our separate Boardroom or meeting room accommodates 15 people seated around our executive conference table. For business meetings, you may use our white board and technologies for classroom-style presentations. Whatever type of setup you require, we promise to do our best to accommodate. Our flexible plans range from prix fixe menus and small plates to appetizers only and separate cash bar options. The dining room seating capacity is 72 and standing capacity is 100 and offers a secured, separate, ADA-compliant entrance and restrooms. With the lounge area combined, our event space may be extended to accommodate an additional 25 guests. To learn about hosting your special event at the Hotel Majestic, please call us for a free tour and quote at 415-441-1100 or email our Sales Director [email protected]. Whether your vision is an intimate communal table or a large 100-person celebration with a band, we have hosted a wide variety of wedding celebrations. Enjoy great food, romantic spaces and personalized service when booking your wedding at Hotel Majestic. Celebrate your new arrival with a party at one of the most romantic and historic hotels in San Francisco.